Every winter, following the migration of grey whales, tourists, scientists and conservationists descend upon the San Ignacio lagoon in Baja California, Mexico. Their presence, and the establishment of Latin America's largest biosphere reserve- brings profound change to the lagoon's small traditional fishing community. 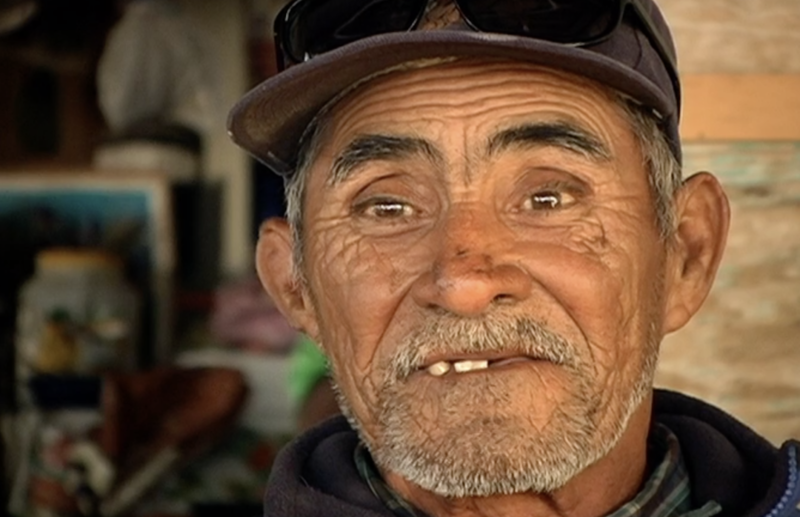 The elderly fisherman who first befriended a whale in 1978, Pachico Mayoral, and his grandson Antonio, navigate between the different points of view of locals and outsiders about the changes and what the future will bring. 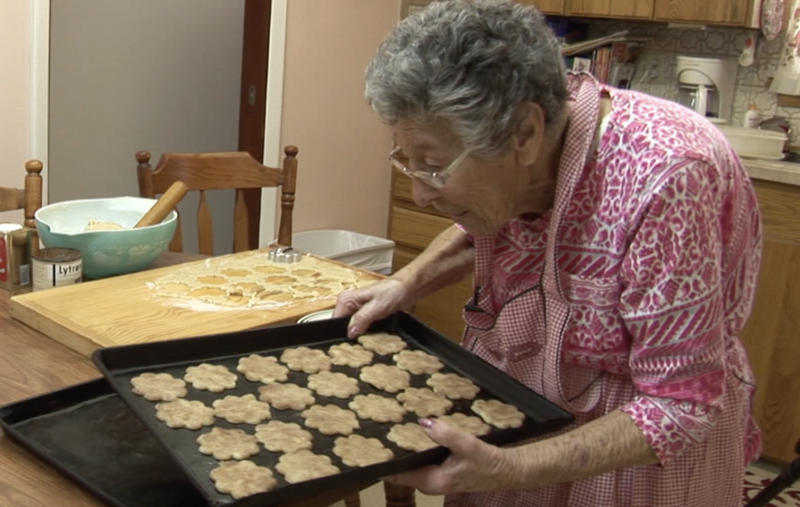 By filmmaker Lucia Duncan, awarded Best documentary at the Next Frame and U.Frame film festivals, and finalist at the Angelus and International Documentary Association Awards. 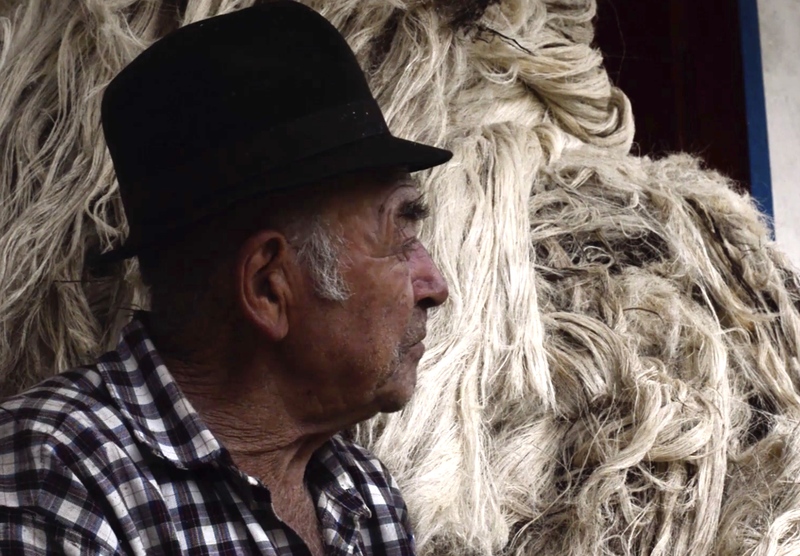 Jesus Maria Sanchez is one of the last Colombian Cabuyeros- farmers who grow and harvest the Cabuya, or Sisal plant, whose extracted fibers have long been the basis of traditional rope making. Marta Nelly Ramirez is one of the last artesanal rope and lariat makers, braiding the sisal fibers sourced from farmers like Jesus Maria into beautiful and strong working works of art. A first film from the Colombian filmmaking team of María Camila Gómez and Andrés Felipe Corredor, it weaves beautiful images of the Colombian countryside with poignant words from these last of the ropemakers. "Medica" Camilla Trujillo collects herbs she finds around Santa Cruz Farm, including "torito" (goatshead), "malva" (blue mallow) and rose petals. She boils them into a strong tea to infuse fresh lard and beeswax, making a creamy and effective herbal muscle balm. In the late 1800's the mountains of Northern New Mexico were visited each summer by hundreds of sheepherders, each with a flock of more than a thousand sheep. Today, Antonio and Molly Manzanares run the last such flock. 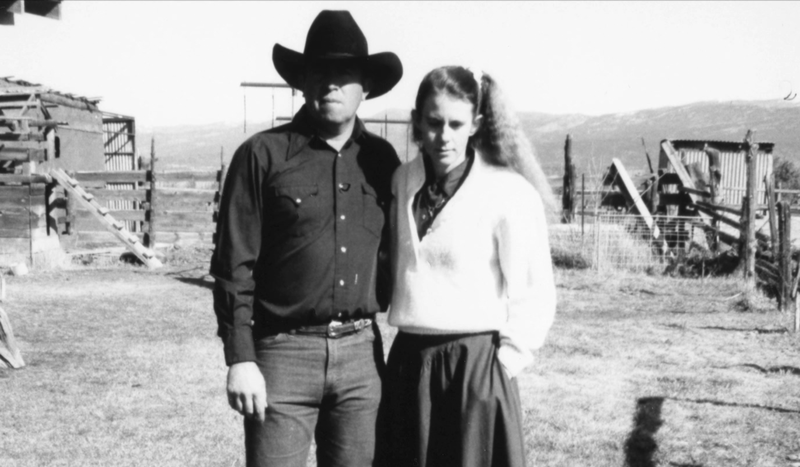 Limited by government regulations, a lack of young ranchers willing to take on the work, and a flood of cheap lamb and wool from overseas, Antonio and Molly have to ask themselves: "Will we be the last?" In the highland rainforest, four hours Northeast of Oaxaca, and just outside of the Zapotec village of San Cristobal Lachirioag, Edgar Gonzalez is recovering an ancient tradition while combatting the culture destroying loss of young people from his community. 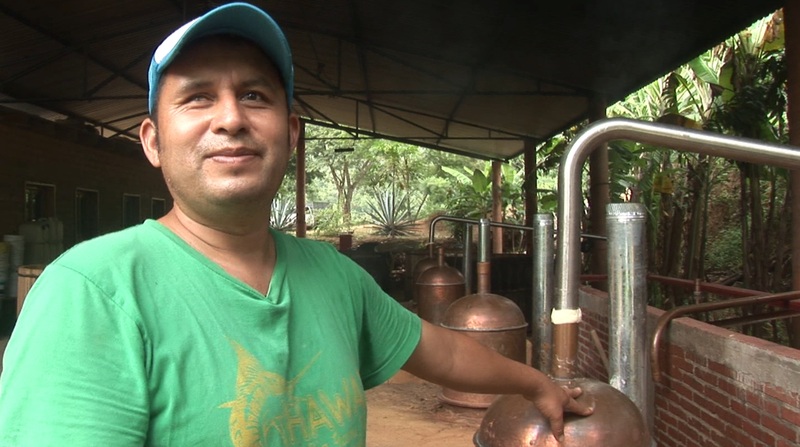 At his homegrown "palenque" or distillery, he, his family, and a growing group of workers are again handcrafting the sacred spirit of their forefathers- Mezcal! With agaves grown from the seeds of five wild varieties found in the surrounding forest, a still built near the ruins of a “palenque” abandoned in the jungle for more than one hundred years, wild yeast from the surrounding tropical fruit trees, and Zapotec blessings, the resulting mezcal is a local, sustainably produced product, that is distributed internationally, while inspiring a renaissance in traditional village based commerce and employment. 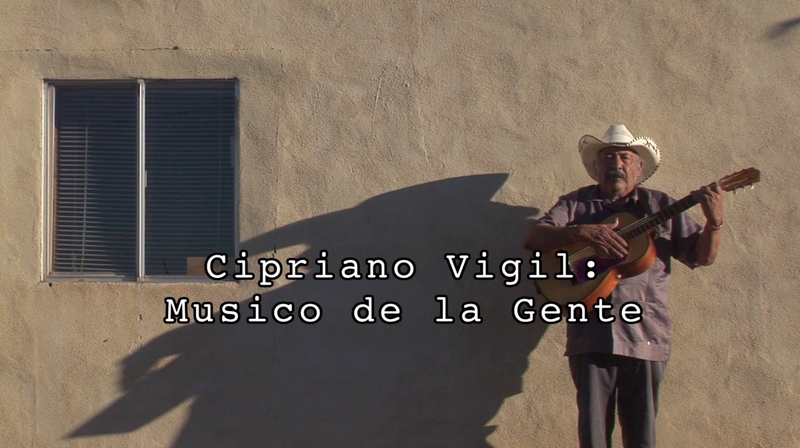 Cipriano Vigil was born in 1941, in the Northern New Mexico town of Chamisal. From the age of eight, he would badger the local “Resolaneros” - musicians practicing outdoors along the sunny side of a house- to teach him songs and the guitar. 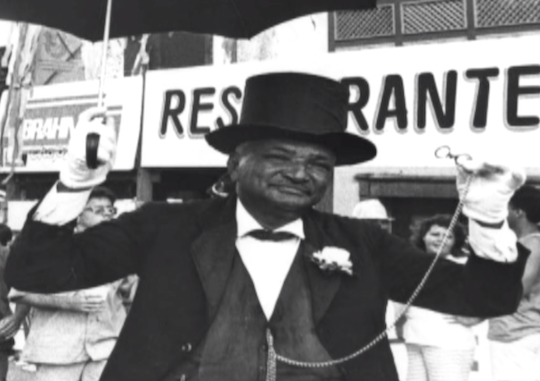 During the ensuing sixty eight years, Cipriano has collected the encyclopedia of Northern New Mexico music, learned to play over three hundred instruments, performed at the Smithsonian Institution and all over the United States, and written Northern New Mexico anthems that qualify him as a true voice of his people. newmexicofolktreasure.com, or email him at cipriano505@windstream.net. 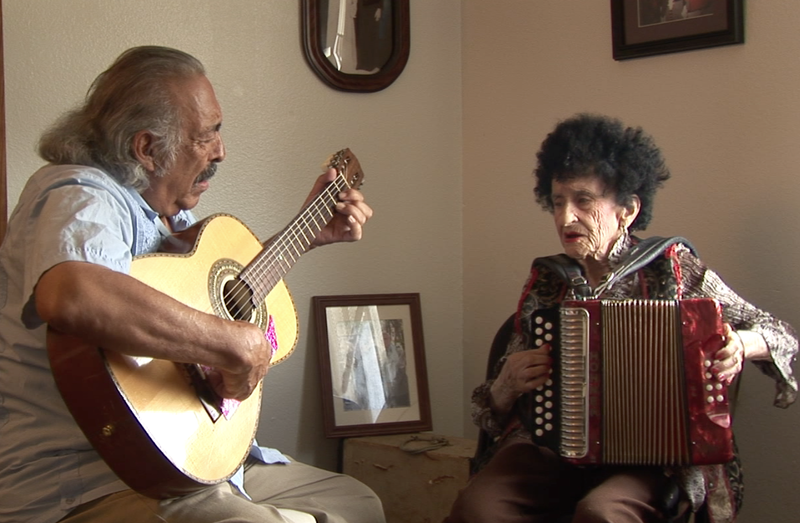 Antonia Apodaca, 93, and Cipriano Vigil, 76, are the two eldest and best known masters of traditional Northern New Mexico music. Both are New Mexico State Treasures, and both have performed separately all over New Mexico and the United States, and on several occasions at the Smithsonian Institution. Friends for over thirty five years, they have never played together. Over the course of an afternoon, jamming together for the first time, they teach each other new (but old) songs, play traditional favorites, and have a great time! 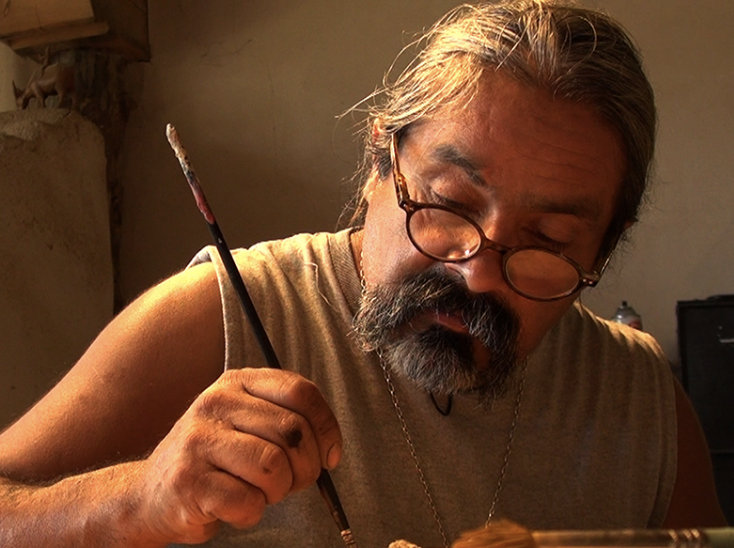 "Recuerdo" captures a rare and exclusive look behind the scenes with renowned artist and Santero Nicholas Herrera of El Rito as he tends his land and paints in his studio. 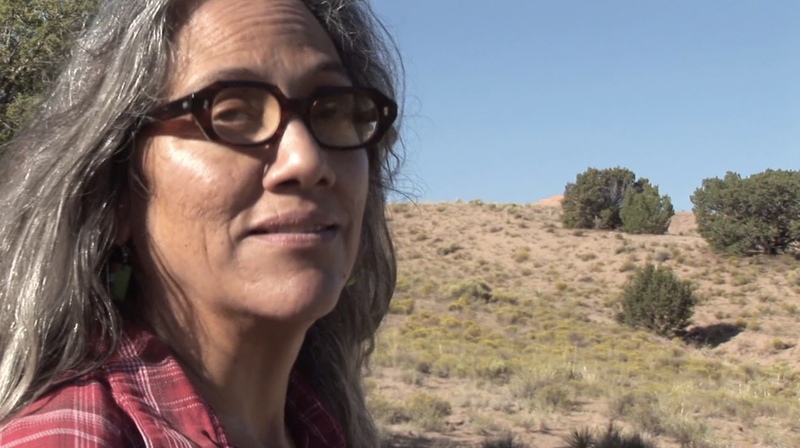 Recent winner of the New Mexico Governor's Award for Excellence in the Arts, Herrera's life and work is an ongoing remembrance of the land, water, and artistic traditions of Northern New Mexico. 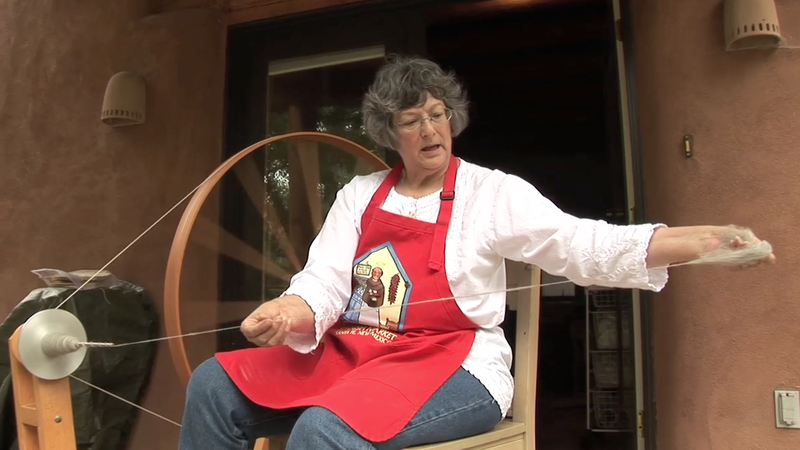 Rita Padilla Haufmann is an acknowledged master weaver of traditional Rio Grande style rugs. 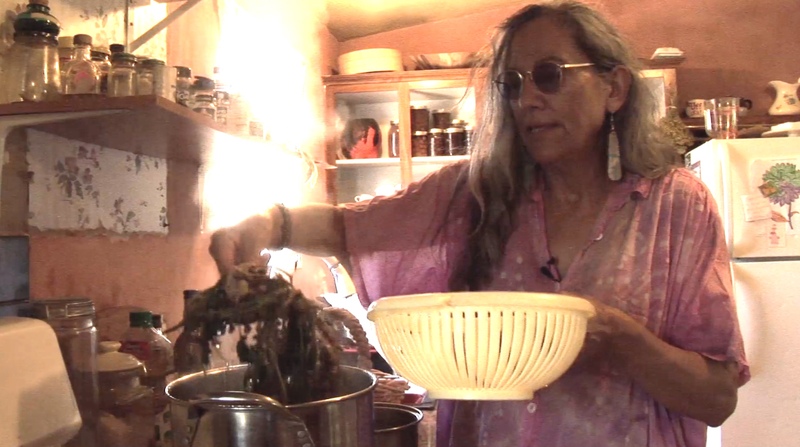 using only natural pigments, many gathered from her Northern New Mexico environment. 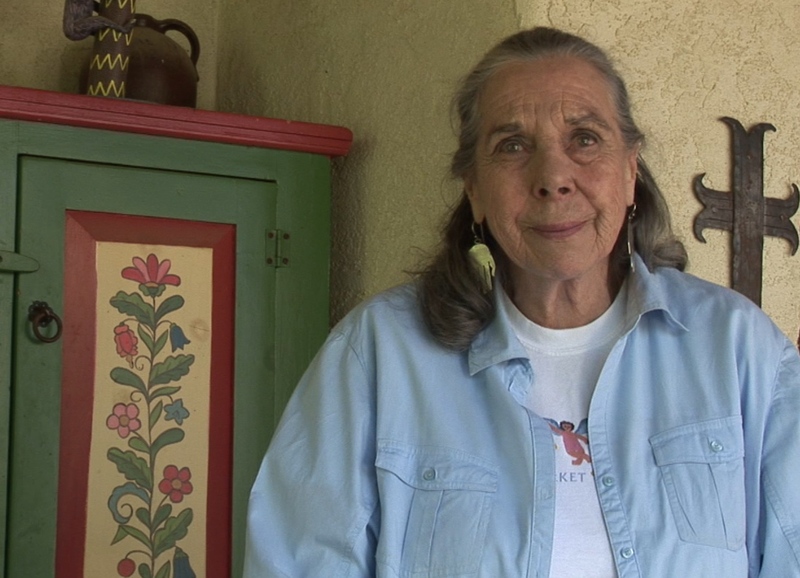 Monica Sosaya, at 85, is the "Grand Dame" of Santa Fe New Mexico's annual Traditional Spanish Market. 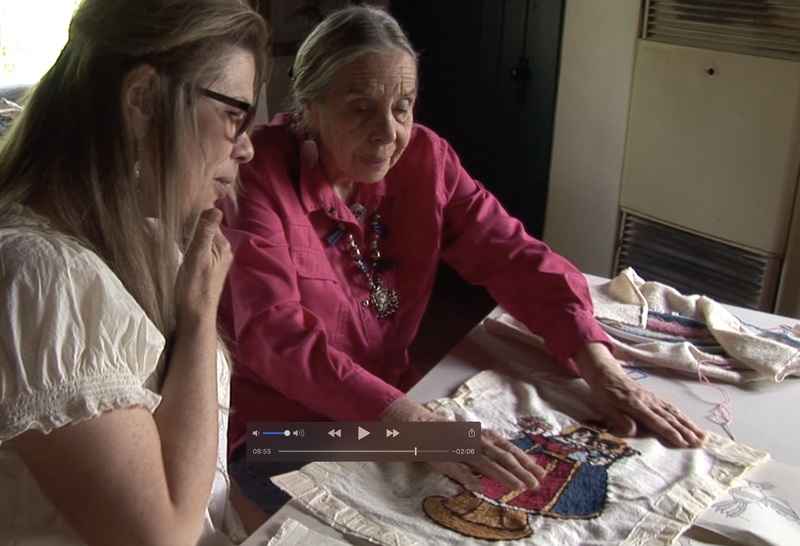 She is an acknowledged master of the traditional colonial Spanish needlework called "Colcha" and has taught generations of new "Colcheras". In this video, she teaches the basic Colcha stitch, and shows some of her work and basic Colcha patterns to a beginning student. 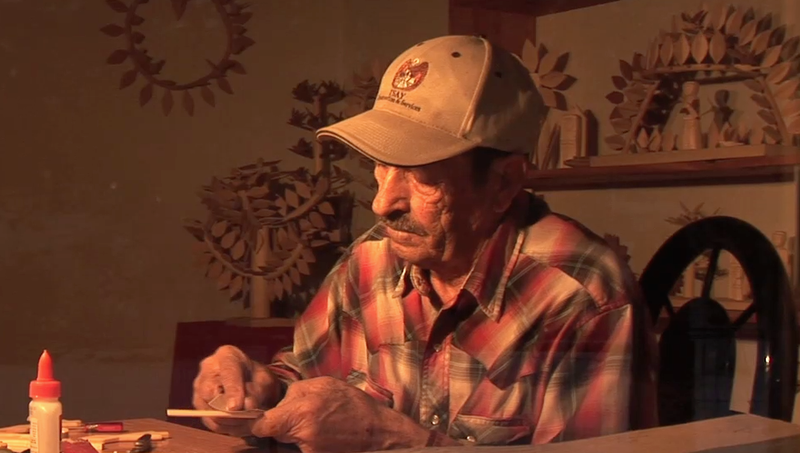 At 80, Eurgencio Lopez is still living the life led by his great grandfather, the famous carver Jose Dolores Lopez. One of the few who still have grazing rights in the Sangre de Cristo mountains high above his small Northern New Mexico town of Cordova, he tends a small herd of cattle by summer, and carves Santos during the long nights of winter. At Las Golondrinas Living Museum near Santa Fe New Mexico, lies the last operating Spanish Colonial flour mill. 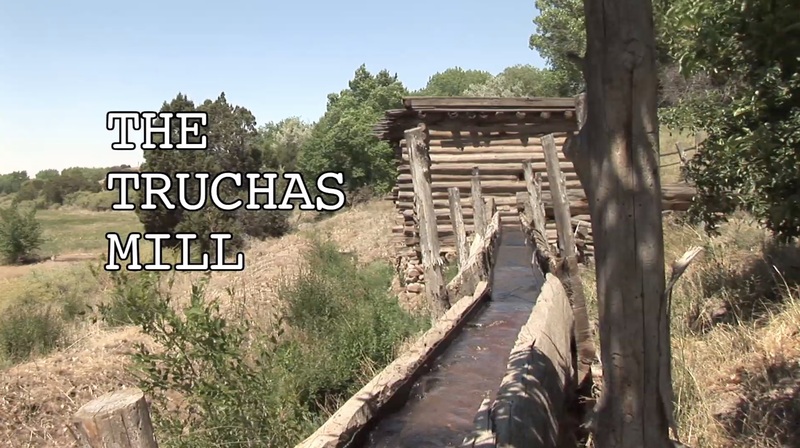 Constructed by Jose de la Luz Barela in the village of Truchas, New Mexico in 1873, this traditional Hispanic horizontal water wheel powered grist mill was purchased and moved to Las Golondrinas in 1968. Reassembled there by Lauriano Córdova, today his grandson Lauriano operates the mill, demonstrating it's sophisticated simplicity to visitors and his grandson, Ravi. Its the spring of 1999, near the town of Sarlat in the Dordogne region of France. 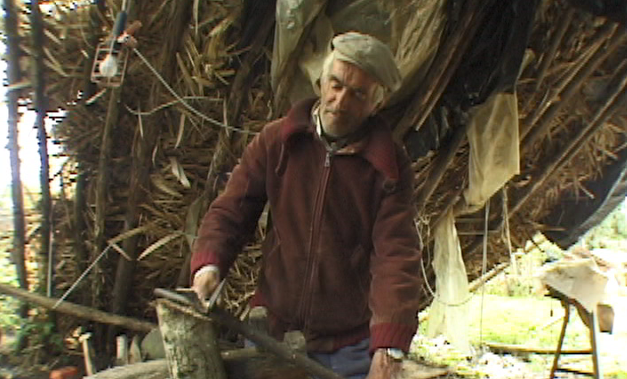 Monsieur Gonzales, an elderly local farmer, demonstrates his skill as a "Plieur de Codre", as he shapes young saplings into the flexible wooden bands traditionally used to hoop cognac barrels in France. A skill, which today, is all but extinct.